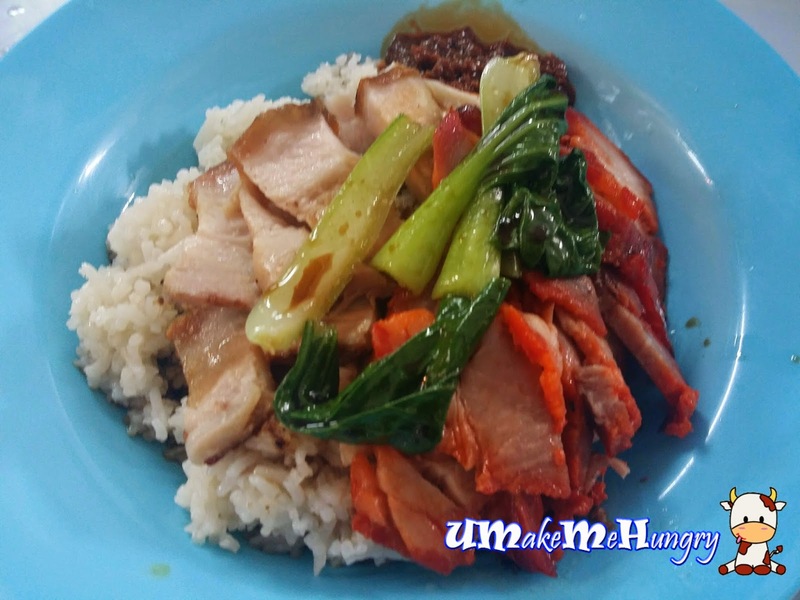 Missing the authentic cantonese roasted delights but still want to save on the pockets? 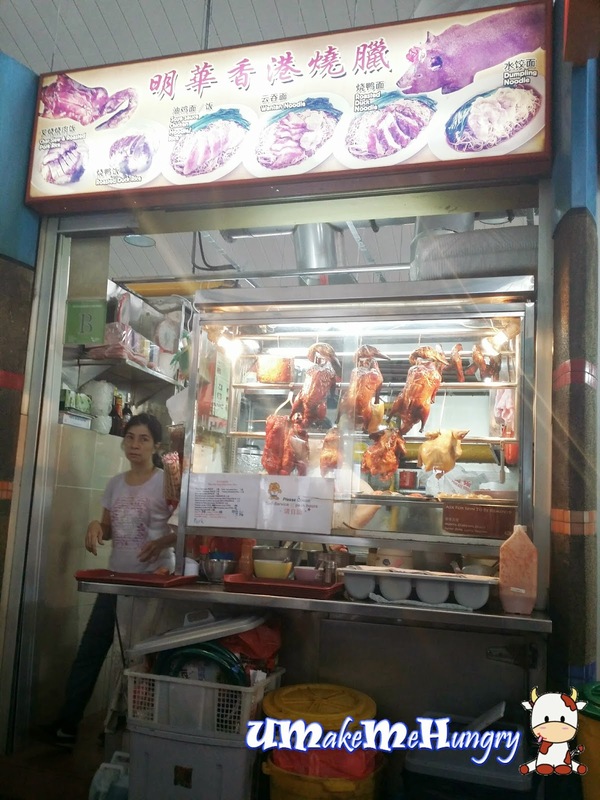 If you are around the area in West Coast, perhaps you can give Ming Hwa Hong Kong Roasted Delights a try. Dishes were all served in the striking blue plates, an outstanding colours and perhaps they are the only stall with such a color. Well, I would say it's easiler to identity their own plates. The lady who served us had a very strong Cantonese accent even though she was communicating in Chinese. Enjoy the plump version of chicken coated with a layer of soy sauce with springy noodles following suit to the Cantonese cuisine. Their version of yellow noodles was thinner and different in texture. 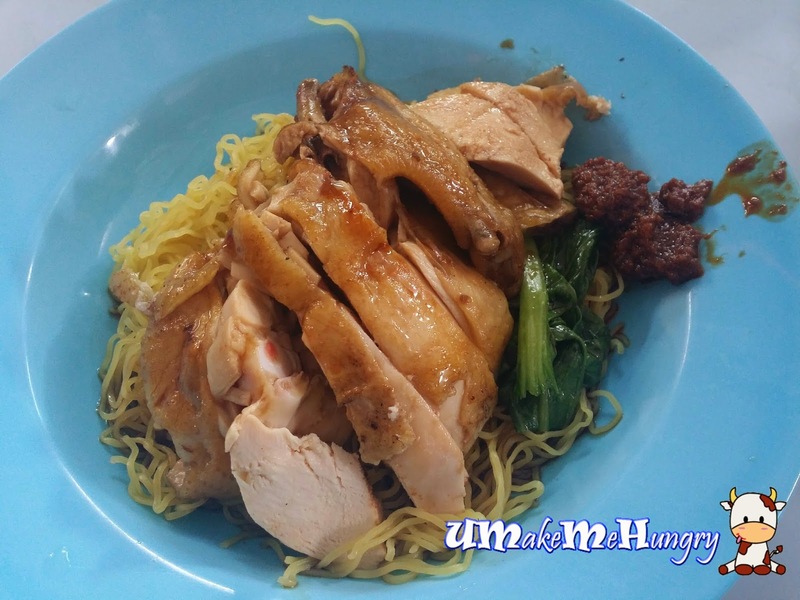 Portion is generous and not too oily. The mixed roasted meat comes with a few stalks for poached vegetables doused with soy sauce. Rice was soft, not too mushy. The plus point was that its a steal to enjoy such a portion of meat at such a reasonable price. 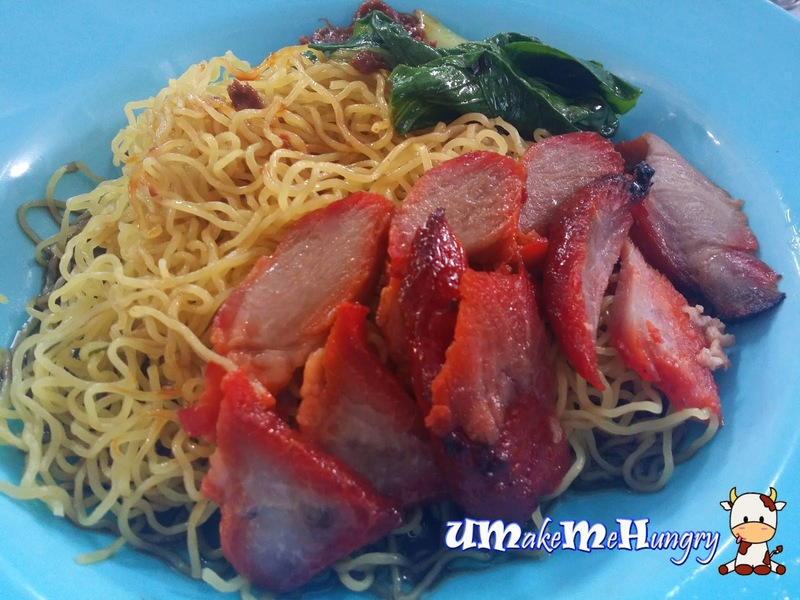 Another type of dish that we could usually order from a Roasted Stall in Hong Kong is none other than Wanton mee. Wanton skins looked pretty smooth and well wrapped.